Barcelona, Spain – Feb. 26, 2018, 6:00 p.m. CET – Kerlink (ALKLK – FR0013156007), a specialist and global leader in solutions dedicated to the Internet of Things (IoT), and MCS, a Dutch company that provides businesses and system integrators with industrial IoT (IIoT) solutions and private communication networks, today announced MCS will extend their partnership to a value-added distribution agreement to offer Kerlink’s IoT network and solutions portfolio. The development of this partnership is part of Kerlink’s commitment to grow its value-added distributor (VAD) network to extend its business reach to new markets or new geographical territories where the company does not have sales operations. Kerlink also aims at accelerating market penetration of LoRaWAN technology for private networks by relying on strategic partners who bring vertical end-to-end solutions and have a strong local presence in their markets. MCS is a technology specialist and developer of IoT hardware that provides 24×7-managed platforms for its customers. It also installs and manages private IoT networks, such as Private LoRa®, Private GSM / GPRS and Private LTE. 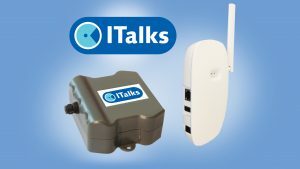 Its ITalks LoRaWAN server provides managed services and is designed for rugged, professional LoRaWAN environments. 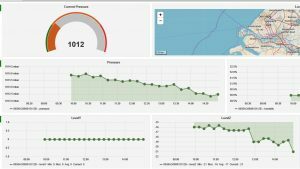 It also offers additional features that simplify the management of the LoRa® infrastructure. The first deployment of MCS ITalks is a combination of infrastructure deployment and network-operation and management features for customers that leverage Kerlink’s Wanesy Management Center, Wirnet Stations and Wirnet iBTS Compact outdoor LoRaWANTM gateways. MCS also has helped deploy private networks in the Netherlands using solutions bundled with indoor Wirnet iFemtoCell LoRaWANTM gateway and Wanesy Small Private Network for use cases such as smart buildings, industry logistics and storage, and smart city applications in Rotterdam.